minubo is the Commerce Intelligence Company for omni-channel brands and retailers. With their technology and services, minubo solves the top 3 challenges that commerce companies face in becoming data-driven in an omni-channel environment: strategy, people and technology. In times of rapid growth and intense competitive pressure in the retail world, commerce organizations are dependent on being able to process great amounts of data in a rapid and target-oriented way. This requires a pioneering solution that helps them connect data from fragmented sources and thus capture its complete value without imposing costly and complex IT demands. Fed by a full omni-channel data base, minubo’s Analytics & Insights App enables both strategic and operational roles to make better, data-driven decisions – every day. Providing full data transparency with comprehensive reporting and analytics, minubo offers executives a sustainable solution which spares error-prone results within their analytical activities and transforms reporting into a pleasant daily routine. Thus, minubo enables commerce organizations to build successful omni-channel businesses that ensure rapid growth through a data-driven decision culture. 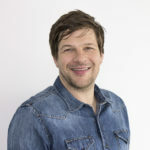 Head of BI at frontlineshop, BI project manager in a Joint Venture with the Schulte Group as well as co-founder and CEO of the nextel Business Intelligence Solutions GmbH: Lennard looks back on more than 10 years of experience in the BI domain. As minubo co-founder and CEO, he is responsible for the product strategy and the coordination of the development process. For Lennard, Business Intelligence is not primarily an IT project, but a change management process towards the establishment of a data-driven business. From the creation of the web frontend and the development of standard interfaces up to the conception and implementation of the technical product strategies: Thanks to Ole, minubo is at the cutting edge of technological innovation constantly. 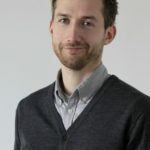 As founder and managing director of the trewys GmbH, Ole is an expert for web applications and business solutions. With minubo, he now wants to redefine the IT standards for the eCommerce: An online shop‘s minimum requirements of technology? Shop system, ERP system, web analytics and minubo.